For the 25th anniversary of the most successful film franchise in history, Cubby Broccoli's Eon Productions launched James Bond in a bold new direction with a spectacular globe-trotting adventure that showcased incredible stunts, gorgeous cinematography, and a smoldering romance set amongst elegant old world Europe and breathtaking vistas of Africa. Go behind the scenes with the cast and crew, and see how veteran director John Glen put together a mammoth effort to take the series back to its thriller origins, rooted by the casting of Timothy Dalton, a noted stage actor and fan of Ian Fleming's novels. 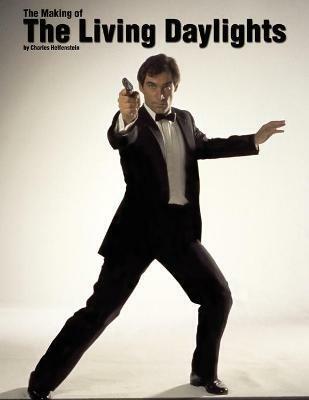 Follow the complete history of the film, from the origins of Fleming's short story, through early drafts of the script (where James Bond was a brash young Lieutenant in the Royal Navy), through Pierce Brosnan securing the role then losing it, Dalton's last minute casting, pre-production, shooting, post-production, to the release and marketing of the film. Based on years of research, cast and crew interviews, access to original scripts, storyboards, production memos, call sheets, props, and more, this fascinating look behind the scenes features hundreds of never before published photographs, including a detailed look at deleted scenes.